The RD200 is a simple and very effective machine to use, turning what would normally be a very labour intensive task into an easy one. 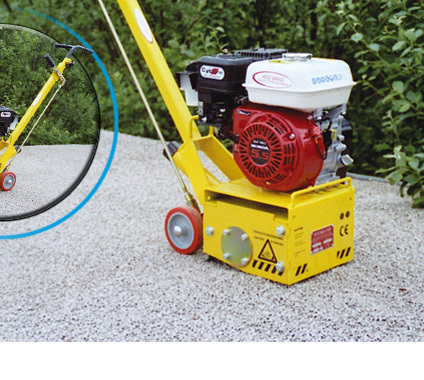 This machine is ideal for the removal of chippings on flat roofs, cleaning and roughening of concrete surfaces and removing old coatings, for example painted surfaces and markings. With a working width of 200mm and adjustment on the depth of the drum, this machine is very easy to handle and control. Noise level (no load) - 90dB(A).